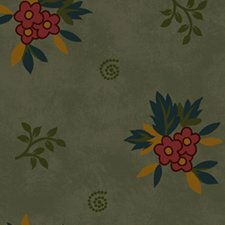 18 different fabrics from the Tall Grass collection, designed by Pam Buda for Marcus Fabrics. This wonderful mix of prints includes 7 lights and tone on tones, and a wonderful variety of green prints reproduced from classic CW reproductions that are sure to be a wonderful addition to your collection! Sold in 1/2 yard increments. Shop freely as you will not pay more than $8.95 in shipping within the U.S.
Orders outside the U.S., please email me and I will calculate additional postage.